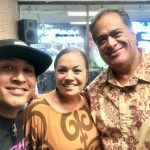 KAPA Hawaiian FM morning personalities Jaz and Ka‘ea welcomed Kamaka Camarillo & Wikz to the KAPA Cafe. Kamaka and Wikz’s viral song E Piʻi Mai is a Hawaiian version of the hit song, That’s What I Like, by Bruno Mars. It has now been released on all digital platforms. Kamaka grew up around music and his father works at Kamehameha on Maui teaching the ukulele. 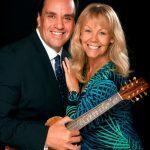 He got a bachelors in Music Education at UH Manoa and now teaches guitar and ukulele at Kaiser High, where Wik’z is a grad assistant.